Have you seen a screaming fish? Well, you will see now. This videos shows fishes that are out in the water that are screaming due to lack of water? 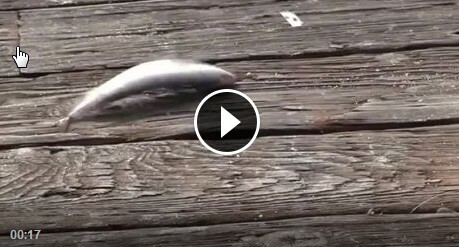 Do you think this video is considered as animal cruelty to fishes? The videos also has a beheaded fish but still the head is moving. Watch and comment if you think this is funny or Not. Post by Studio P Innovations.